1. This is NOT a “service” project, because there is no actual help provided to anyone who needs help. 2. Even if one can identify someone being helped, 6th graders are still concrete thinkers who need a more concrete object to get anything out of a “service” project. 3. 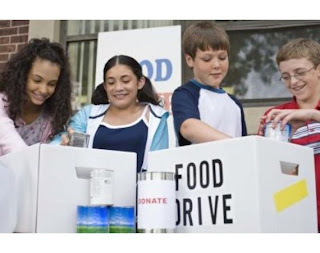 Even if the 6th graders can figure out who is being helped, they may land on the idea that the object of charity is adoptees, and given that there are adoptees in the class which the school fully knows, it shines a light on THEM as objects of charity. Kids at this age – whether adopted or not – are usually at a developmental stage where they HATE being different or standing out. They really don’t need to have a project that points out how they are different from all of their classmates. 4. Even if you don’t care about the feelings of these adoptees, and want to do a project related to adoption, there are ways to truly help, like focusing on providing ACTUAL AID to prospective birth mothers and post-placement birth mothers, not just giving them a card and a stupid puzzle, or offering ACTUAL AID to orphans abroad or older kids in foster care in need of adoptive homes. 5. Using kids to express a viewpoint not universally agreed-upon – like how relinquishing is a statement of brave and selfless love! – is compelled speech, using them as little unpaid lobbyists for a public policy viewpoint that they are not really mature enough to form independently. Q: What's Gladney's biggest challenge today? A: Growth in a flat to declining market. Domestic infant adoption continues to shrink overall. On the international side, countries shut down or slow down adoption and we have to contend with the volatility. But we believe tough times create opportunity. We have a game plan and the will and capability to see it through. Q: How does Gladney set itself apart from others in the field ? We are working hard to lead our field toward greater collaboration and away from the mindset that we need to view each other as competitors. We believe that "a rising tide lifts all boats." Q: What are the trends in domestic infant adoption? A: More and more young women are choosing to be single parents. Combined with those choosing the abortion option, that leaves less than 2% who decide to place their baby for adoption. 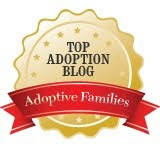 We have to do a better job of educating the public that adoption is a wonderful option. So, Gladney needs to endorse projects like Brave Love to counteract a flat market in domestic adoption? Doesn't seem like the problem is not enough parents wanting to adopt (the demand side), it's not enough mothers wanting to place (the supply side). So, imagine your 6th grader – adopted or not – being involved in this project. Your little darling gets to help Gladney develop the supply side! Is this really a SERVICE project?! Exactly who are they providing a service to?! What service are they providing?! My kid’s 6th grade class had their "service" project culminate last week -- after designing a cookbook, soliciting recipes, drawing pictures to illustrate it, they sold it and used the money to go shopping at a local discount store for clothes and toys for 56 needy kids. It's pretty easy in a project like that to figure out who is being helped, what service is being provided. But here, with the Brave Love project? Are they helping birth moms? Not so sure about that. Even if you absolutely love newborn adoption, even if you are the most “pro-adoption” person in the world, do you really think it is a service to prospective birth moms to send them a card and superhero puzzle?! Lordy! My kid’s class made Christmas cards for retired nuns at a local Catholic nursing home. That’s a nice thing. But is it SERVICE?! I don’t think so! And 6th-graders are still pretty concrete thinkers. I don’t see how they “get” any lesson from this Brave Love project about helping others, when it’s pretty difficult to figure out who is being helped! If you want a service project to help prospective birth moms, and you are super-duper pro-adoption, then how about doing something to offer post-adoption support for birth mothers? Or how about this – a project to help poor young mothers parent! Collect disposable diapers, for instance – hey, if she decides to parent, she has diapers for the baby, and if she decides to relinquish, the diapers can go with the baby as a starter set for the adoptive parents! Maybe the objects of this “service project” are kids relinquished for adoption? Are we helping them by encouraging prospective birth mothers to relinquish? That only works if you think it's better for kids of poor moms to be adopted by better-resourced parents, or for kids to be raised by a two-parent married couple than a single mom. And those are not exactly universally-held viewpoints (says this single mom!). And if the “object” of this charity is the adoptee, then how is that a good idea as a school project WHERE THERE ARE ADOPTEES IN THE CLASS?! The LAST thing these kids need is to have their classmates view them as charity cases! But suppose you do want to have a service project that benefits adoptees, despite the charity-case problem? There are other ways to do it that DIRECTLY benefit truly needy kids – say, older special needs kids in foster care, who might need clothes or toys at this holiday season. Guess what? Gladney even has a program for placement of older special needs children currently in foster care! Instead of helping out Gladney’s newborn adoption program, how about helping these kids who really need help?! Or maybe Gladney’s orphan support programs abroad? Collect formula for orphans in Ethiopia, collect toys for orphans in Colombia. . . . (I'm not really endorsing these programs -- I don't know enough about them -- but I'm just suggesting that there are lots of CONCRETE ways to really help if you're looking for them). Seems to me the only object benefitting from this service project is the adoption agency itself. Which makes this “service” project really a lobbying project. It's coercing the KIDS to express a public policy position. It's an awful lot like when a local ISD forced the kids to write out something they'd lose if Robin Hood educational funding took some of their considerable tax revenue and sent it to poor school districts. Kids were told all about how they wouldn't get to have a computer room, and how so-and-so would lose their job, and how the sports programs would suffer. . . . And then until they wrote something for the "chain," which would be taken down to Austin for a rally, the kids couldn’t go out to recess! Guess what?! Not all kids, nor all their parents, think that the Robin Hood plan is a bad one! The schools were essentially turning the kids into unpaid lobbyists of the schools’ position. And that’s what this Brave Love project looks like, too, making the kids little salesmen for Gladney's newborn adoption program. And then to do it on an issue that might have a high degree of sensitivity for an adopted child, knowing IN ADVANCE that there are adopted kids in the class?! Maybe not all adopted kids are at a place where they want to go to an adoption agency and work on separating moms and babies! Maybe not all adopted kids feel like having the entire class's collective noses rubbed in how adopted kids are charity cases! Maybe not all adopted kids want to feel conspicuous and different about being adopted! Maybe not all adopted kids think birth mothers are brave for relinquishing! When I talked about this project with my 6th-grader, wondering what she thought of it, she said, “Well, I think sometimes it’s brave for birth mothers to keep their babies, like in China where it would be brave to defy the government’s one child policy.” (Hah! Think Gladney would hand out her card and superhero puzzle encouraging prospective birth mothers to be brave and parent their children?!). I know, I know, if I don't want my child to participate in such a project, I could always just tell the school she would not be participating. That way she wouldn't feel conspicuous and different. Right, let's treat her differently in such a conspicuous way, so that she won't feel different and conspicuous! Kind of puts a parent between the proverbial rock and hard place, huh? So this project isn’t happening at my kids’ school, why am I writing about it – not my business, right? Well, I’m hoping that if some other adopted kid’s parents are trying to figure out how to explain to the school that an adoption-related service project is A VERY BAD IDEA, maybe this post can give you some ways to explain it! I am really disgusted and disappointed that organizations that not only employ Social Workers, but have Social Workers in administrative roles and on the board of directors would back--let alone initiate--a project like this. Adoption is not this mysterious thing that occurs in a vacuum and therefore gets to set its own reality and abide by its own rules. It is a Social Service to human beings and therefore must subscribe to well-established Social Justice and human rights frameworks. Well-established human rights frameworks state that all children have a basic human right to be given a chance to stay with their biological families, if and whenever possible. Period. Creating campaigns for the express purpose of swaying vulnerable expectant parents to choose an option that does not coincide with that right of the child is a huge human rights issue. It is also a professional issue. It is never, ever, ever the job of a helping professional to insert bias and pressure into the helping process. We are not paternalistic. We do not subscribe to the medical model. We acknowledge that human problems are caused by systemic issues. We help, as servants not dictators, our clients achieve their goals through positive human interaction. When you wave questionable and overwhelmingly one-sided statistics in a vulnerable client's face. When you call a client things like "brave" and "selfless" for considering the choice YOU want them to make. When these things happen, it is then that the intervention process is no longer about that client. It is no longer in their best interest. It is no longer about acknowledging their options and strengths that can help overcome their problems. It is about validating what the worker thinks is best--based on what their employer thinks is best. Bias has entered the picture. Professional entities pre-deciding that addressing an unplanned pregnancy is as easy as jumping from A to Z have done nothing but spit in the face of empirically-tested intervention and planning processes. It's about my family and my life as a mother to 8, six adopted children and 2 biological children. I don't have any followers yet so i'd appreciate it if you'd follow it and/or pass it along to others. Thanks! What can we do to stop this type of messaging? We have social media at our collective finger-tips. This sounds more like indoctrination than a service project. Gladney wants to convince kids early on that adoption is *the* answer to a crisis pregnancy. And the school is playing right into it by exposing children to this slick marketing under the guise of service. My sixth grader and his class went to sing songs for, and spend time with, the residents of a nursing/rehab facility as a service project. Of course, my children are in Catholic school. So perhaps a trip to the ol' adoption agency wouldn't be all that far fetched. if the school were to inform me that the class will be taking a trip to visit the folks running the Catholic Charities domestic infant adoption program, I would raise more than few stinks as a CC adoptee. All the people who are experiencing tough times right now and THIS is the "service project" that was chosen? It really seems like something is going on behind the scenes somewhere. In total agreement of the extreme "yuck" factor this has. I am also curious as to how this would even qualify as a "service" project-- as an adoption agency, doesn't Gladney make a profit? Anyone know how much profit make they make off of each adoption? Maybe if that was qunatified and sent to the School Principal (or newspaper) this "service" project would be discontinued. i'd be raising holy heck at teh school, to the school board and in the local papers letters to the editor on this one. Major fail on the school's part. Someone needs to send this on to a media outlet for an exposé. Thank you for sharing this, and great post! I am horrified that this is happening and that they're labeling it "service," but sadly not surprised. It's all about following the money. If Brave Love is the public outreach/face of Gladney, this needs to be publicized. I had seen the Brave Love site and found it unpalatable. I left my comments and figured I'd be labeled the "bitter" adoptee, but left them all the same. Any group that has as its name such terms that exclude any different viewpoints are clearly all about marketing. (Well, capitalism is all marketing, but this is the height of sleazy marketing, in my opinion.) And to groom new crops of potential "selfless" women, willing to "donate" their children to other families? Seriously? That's verging on the indignities imagined by Orwell and Huxley and Atwood. I hope the media does pick this up, and not as a "feel-good" story. Yes,I think you are right. This article reminds me of my service project. Thank you for sharing it! Wow, this has definitely started quite the controversy. My husband and I are considering adoption in Hamilton OH and now that I think of my own adopted child being in this situation it makes me a little heart broken as well. I am curious to know how things turned out with the school. A parent at the school said the school sent out an EMail and changed the project and message. At this point, I have not been able to get the EMail with the explanation. I am curious to see how they decided this, and how they explained things to the school's parents. I got an email from the asking for a donation for this New campaign. I was a little offended. It talked about the marketing strategies and how much better kids turned out in adoptive homes. I don't think this is the right approach. They were talking about how much this new marketing would cost and asking for donations. I don't know how they got my email. Now that I read the email I see it was Nightlight adoptions that sent us the email. It sounded like a similiar pitch. I am copying part of the email here:Our vision for 2013 is to re-double our efforts to reach out to young women with unplanned pregnancies. The statistics confronting these girls is frightening! Children born outside of two-parent married families are more likely to be poor, drop out of high school, and have lower grade point averages, lower college aspirations and poorer school attendance. Unwed mothers who choose adoption often do better than mothers who choose to be single parents: they are more likely to finish school, and less likely to live in poverty. Adopted children are less involved in alcohol abuse, vandalism, group fighting, police trouble, weapon use and theft than children raised by single parents. I would not say that I am disgusted by any acts of kindness, but I do absolutely agree that a service project could really do much better work and actually service those in need in much better ways. Calling it a "service project" is wrongly naming the card and puzzle gifts, which by the way are not what I would think an expecting birth mother would find helpful either. I agree with many and would speak to the school as well.